Faith in God can be exciting, daring, and fun. 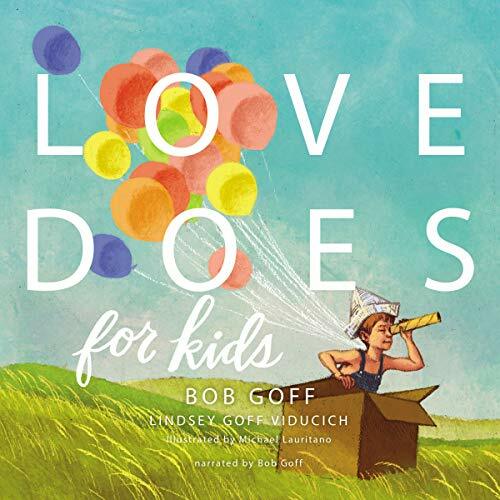 Love Does for Kids, the follow up to Bob Goff’s New York Times best-selling Love Does, shares some of the Goff family’s wild adventures - from holding a neighborhood parade to writing presidents from around the world. Children will laugh, dream, and be inspired to make a difference for God as they listen to these faith adventures from Bob and his daughter, Lindsey. Kids everywhere will love Bob and Lindsey's stories about how love does. With childlike faith, enthusiasm, and great whimsy, young listeners will feel instantly connected to a love that acts as much as it feels. Children will walk away with a sense of wonder at how great God is and will feel empowered to do things that will make a tangible difference in the world. Bob and Lindsey invite kids to get to know God better and to see the world as a place designed to be changed as we put our faith in action. In the same way that Love Does has struck such a deep chord with adults, young listeners will experience God in new and thrilling ways and see that living out our faith is certainly not boring! Gives such simple and practical ways for a kid to follow Jesus.. Oh and grown ups too!